This week the flowers are less glamorous and ostentatious than last week’s Parisian beauties. 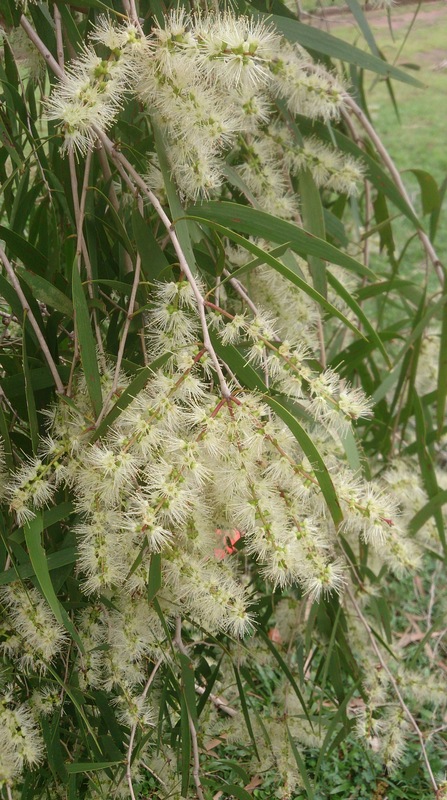 I thought I’d share the flowers which smothered a paperbark aka Melaleuca on the roadside near our place a week or so ago for a brief while. (No, the red sploshes aren’t fruit…someone had unobligingly parked their car there, and the sun was in the wrong direction to shoot elsewhere). 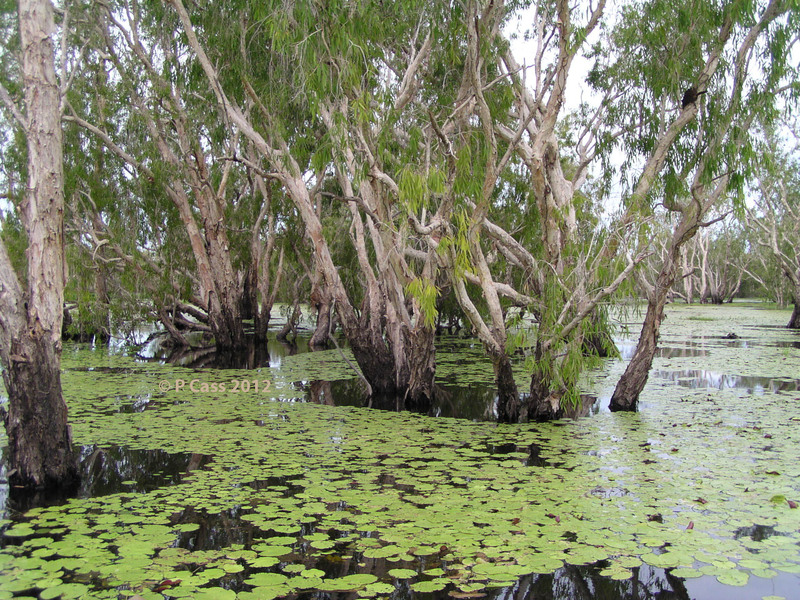 I love the character of Melaleucas and am especially fond of the ones we used to see on the Yellow Waters cruise, when the boat tour went up to the billabong “forest”. They are plants which like, and can tolerate, a lot of water so you will often see them near waterways. 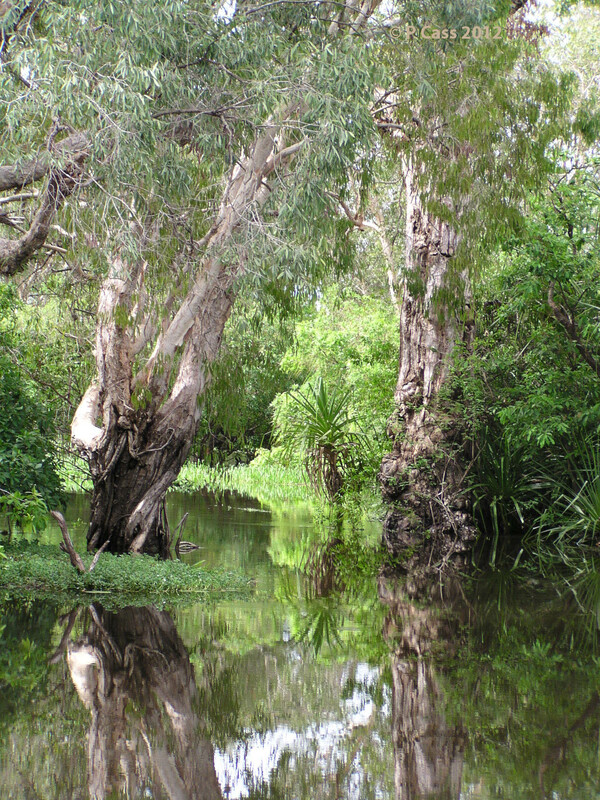 The melaleuca “forest” at the far end of Yellow Waters billabong. Click to enlarge the photo and see if you can spot the small jacana walking on the water lillies near the edge of the photo. I hope these Aussie flowers have brought sunshine and happiness to your day. This entry was posted in Friday Flowers and tagged Australian natives, Friday Flowers, Melaleucas, Yellow Water by cassmob. Bookmark the permalink. One of my favorites close up as I love the starry flowers. Delicate looking. 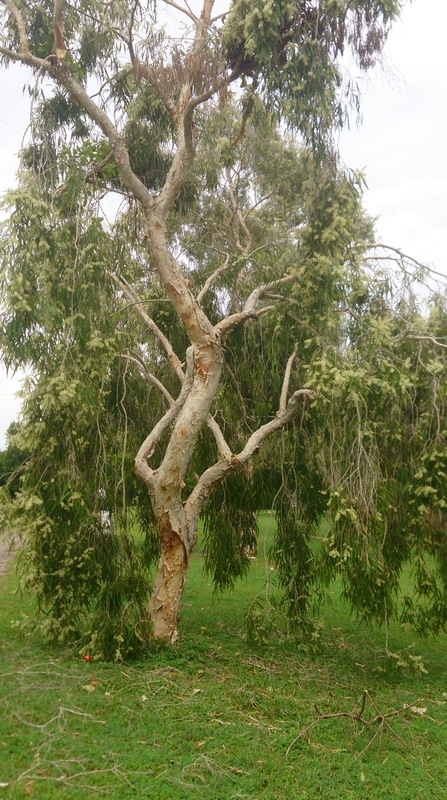 Thanks Fran…I love the twists and turns of the trunks of melaleucas.